Join us to play, share and participate. 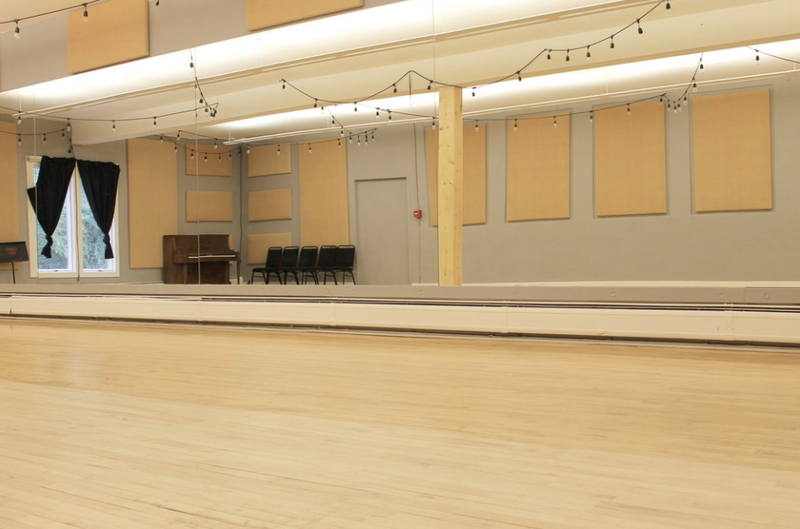 The Red Brick Center for the Arts shared spaces offer gathering spots for a variety of needs such as meetings, dance, yoga, martial arts, theatre, music, lectures and more. The shared spaces are a place to connect with others and create together an experience. The Red Brick Dance Studio is fully equipped with a sound system and auxiliary cord compatible with iPhones, iPods, MP3 players, and computers. The room also has a piano and mirrors. The Red Brick conference Room has a large TV for broadcasting your presentations. The TV is compatible with HDMI hookups and Apple TV for broadcasting. We have several dongle adapters available to work with most every device or computer. The room also has a white board. For conference phone calls, you can use your iphone hooked up to the TV for sound. Otherwise, you can use computer conferencing technology.